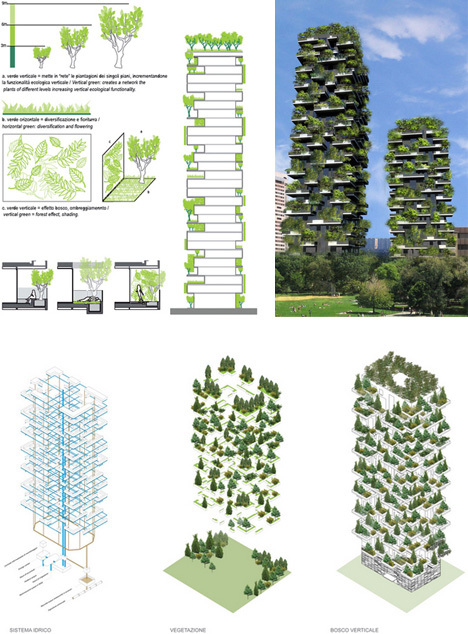 Concept designs from far-fetched futurists have toyed with the idea for years, but one firm has finally made the vision a reality: towers extensively populated with intensive (meaning: large and heavy) plant life. In short: trees! Situated in Milan, Italy, many skeptics were sure these two towers were just another pie-in-the-sky plan for an impossible building. 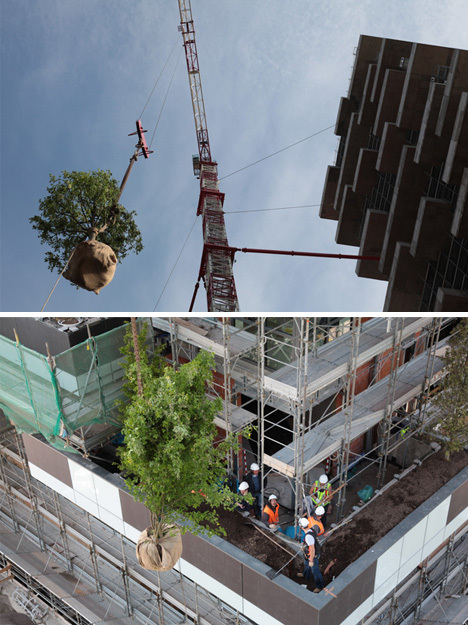 After all, the load-bearing requirements alone for over 10,000 trees and 5,000 shrubs are extreme. 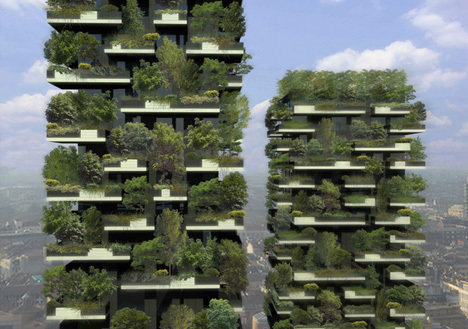 Stefano Boeri Architetti (photos by Marco Garofalo) is showing them otherwise. The added weight is not wasted, nor ornamental – the vegetation layers will reduce the need for temperature regulation within the building. 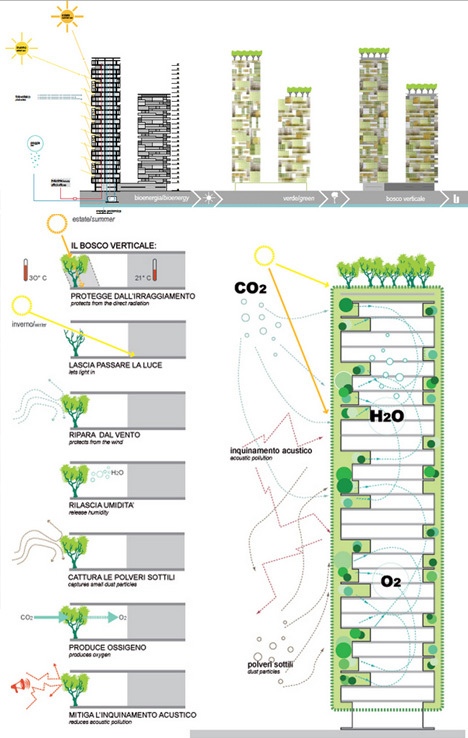 They will also filter the congested air of the city and serve to help reduce the temperature (always higher in urban areas). 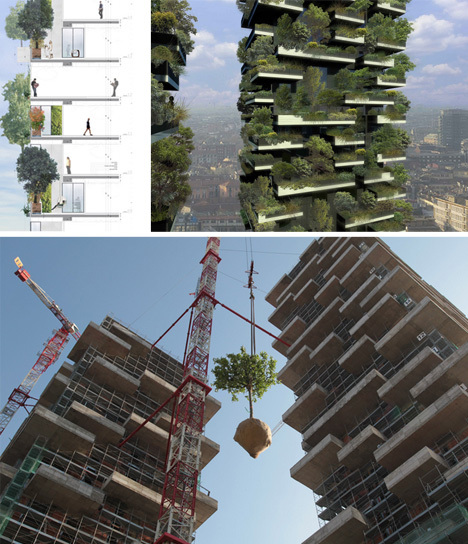 The pre-grown plant life was carefully selected for the structure based on the regional climate, light and wind exposure, and is even now being hoisted into final positions. When complete, this will be, on some metrics, quite literally the greenest pair of buildings in the world.